I am a scientist who has worked in computers, research, and electronics for 20 years. Trucker vs. Computer programmer? Two jobs lined up. I've been meaning to post my annual message, but keep forgetting. I wanted to chime in on the pay, though. In training, I made nothing until I got my cdl, then got 25 a day until I got assigned to a trainer. I can't remember exactly how much it was at first but I remember i was bringing in about 400 a week for a few weeks until I went to the next phase of training, where I got 12 cents a mile for a few weeks, which wasn't bad, I'd bring home between 400 and 700 depending. After I went solo I made 35k My first year and about 40 my second. Been about 44k a year after that. Would have been more this year but I've taken a lot more days off than usual. ButtonUp posts extremely helpful information. I am really tired of BS and it is incredibly helpful to hear straightforward examples of what is to be expected. Some of us expected that we had struck greener grass in IT only to find that it isn't so. There are two sources that come to mind relating to a decision like changing careers, and they both relate to war (perhaps that is irony given this is Independence Day): The (Hebrew) book of Proverbs and the (Chinese) Art of War. Proverbs 20:18 - Prepare plans by consultation, And make war by wise guidance. Proverbs 24:6 - For by wise guidance you will wage war, And in abundance of counselors there is victory. The Art of War (translated by John Minford) - Master Sun said: War is a grave affair, it is a place of life and death, a road to survival and extinction. A matter to be pondered carefully... for this deliberation, for the making of comparisons and the assessing of conditions... which army is the stronger? Whose officers and men are better trained? In which army are the rewards and punishments clearest? From these can be known victory and defeat. 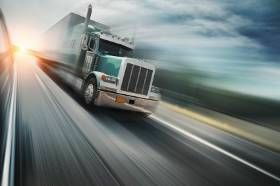 The counsel of successful truckers on this forum is a necessity to those of us weighing the cost. Shout out to ButtonUp for being clear. It is what it is. It is necessary to weigh the cost and make a decision. I thought this would be relevant to forum users Tesla driver killed in crash while using car's 'Autopilot'. It will be interesting to see who gets the blame... the truck driver or the car's computer. I could be wrong, but I think focusing on the $$$ is the wrong way to look at it. Will you love trucking? Will you want to roll out of the sleeper everyday wanting to find new ways to be great? Do you spend your "off time" thinking of trucking? If the answer to these questions is yes, then you won't be doing a job, you'll be living your passion. When you live your passion, the $$$ takes care of it's self. I bet trucking is a passion for Old School and the other top performers. Just my thoughts. I thought that way 20 years ago when I pursued my passion. Now I am deeply in debt. The questions like "will I love trucking?" and "will I want to roll out of a sleeper everyday?" are the questions that I badly want to know, yet they cannot be answered until I would commit to trucking for multiple years (and rack up some debt in the process of starting) while having deep debt and child support obligations. One must weigh the factors. In the end, vocation is about pay as much as it is about passion. Missing one or the other makes the vocation a real problem. I think the question of passion for trucking is not necessarily easy to answer. Otherwise, there would not be such a high turnover rate in the first 12-24 months in the industry. You can disagree all you want... If you are in the IT business, you do not need the resources of this website to determine current salaries. If you are serious about trucking, and you are good, in three years you will be close to, or even with the salaries Yawn quoted. Perhaps a really good place to start is the following links: ... Lots of reading, but a good start. Good luck, don't over analyze this and let us know what else you need. I already bought and read Brett's Book: The Raw Truth About Trucking (the pay version from Amazon) cover to cover. I don't have a good handle on what is different even now compared to 7 years ago when it was published. The truth is that I expect that I would do really well as a solo driver. I have custody of 1 son who has a couple of more years to go before he graduates high school. If I can be home with him weekly, that would be best for now. My income would just go to paying my debts and scraping by (something I am already doing at $500/week anyway). The idea appeals to me that I can make money driving while I listen to audio books for hours a day and decompress from years of high stress and anxiety having to solve computer problems day in and day out. Perhaps this is also a "grass is greener" mentality... I know that in recent years I have had to spend 4-6 hours per day driving several times per week in addition to IT work and I found being on the road alone was very relaxing for me. I expect that making money doing exactly that would possibly be a good fit for me. I am thinking about getting a CDL, driving LTR or a more local/regional for a couple of years, then going OTR (teams might work, I have no idea). Whatever pays more or brings opportunity. Given my education and years of experience, I might be able to work in a larger company doing programming, dispatch, or something like that after getting some experience on the road. Please give me thoughts and insight. I have made a slew of bad career decisions and I am pushing 40. I can't afford to keep screwing up. Plenty of friendly people out there who would be willing to talk to you, and even be happy for a bit of company and a free piece of pie. Just put yourself in a position to meet them. I plan on doing this a couple more times in these last weeks before school is set to start. . . . . a growing industry. There is a critical shortage of drivers so I would expect salaries to climb.. Some things that just make one go 'hummm' . . . the reason there's a 'shortage of drivers' IS shortage of pay!! It's kinda like 'self-driving' cars. The more time, effort and money we put into it THE LESS a family orientated, freedom loving person will get out of it!! When you say shortage of pay, what does that mean exactly? When I look at glass door, I see an average of $43,464/year. That is pre-tax average of $835/week. It sounds like you get there pretty quickly (within a year or 2 from my reading) Is that accurate? I started a new thread Truck driving for the ex-IT pro as per the earlier suggestion. Trucking and programming, two of my passions. After about 8 years as a programmer, then another few in retail management, I'm driving a truck. My biggest regret is that I didn't get into trucking twenty years ago! Don't get me wrong, I loved being paid to write programs and see ing them used by companies whose employees jobs were using my programs, but outsourcing and such made it so the bids on jobs had too little margin. ButtonUp your story has a lot of similarities to what I am experiencing. I would like to ask those on this forum who have advice or experiences that they can pass on to give me more data to make my decision. Specifically, I would like to possibly have a drive along to see what it involved. I live near Chicago and Indianapolis, so meeting up with someone, even in a truck stop to just chat would be a real help. The short version: I am at a crossroads in my life. I bring home about $500/week now. I am thinking about changing to driving and I am weighing if I can really pull it off. And I don't have a realistic idea of how likely I am to bring home enough to pay my student debt and child support obligations. I am in the hole $80000 as it is. If I could have confidence that I could get my head above water eventually, I think trucking would be a good fit for me. Because I would have confidence and see that what I do actually pays off. The long version: I have enough kids to have a basketball team, but they are older. I am going through divorce #2. I have a lot of education and I enjoy to teach. For my living, I am a web programmer (LAMP, WordPress, xml, *anything else that comes up*) and computer support for a group at a University. Our grant is up for renewal and I don't even know if I will be employed next year. I sit in front of a computer, day in and day out. I feel like the work is mind numbing and I pretty much cannot concentrate, so my productivity is low. I work at a laptop (desktop replacement) staring out the same window every single day. I work from home, so my office is in my bedroom. Most of my work has been low pay tech jobs for the past 20 years and I don't have confidence that it will ever get better. I feel like I am in hell. I have seriously thought about driving a truck for 7 years now. To do so, I have to take the plunge and put it all on the line. Is there anyone here who had a similar experience and was able to pull it off? In another thread Trucker vs. Computer programmer? Two jobs lined up. there was a suggestion to start another thread with the title "Truck driving for the ex-IT pro". Shout out to Matt S. for the suggestion.